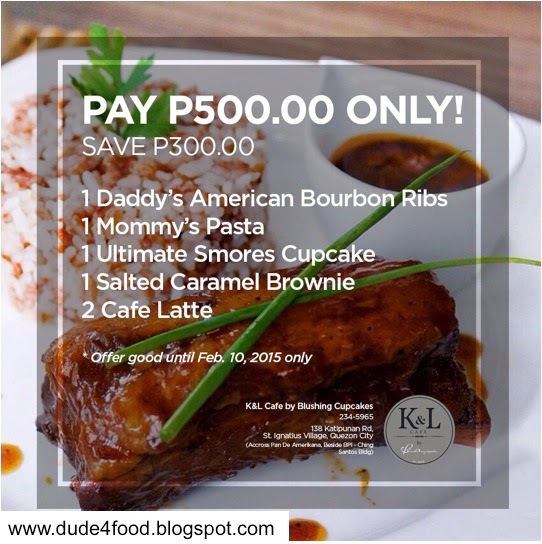 K & L Cafe is located at 138 Katipunan Road, St. Ignatius Village, Quezon City or call 234-5965 for inquiries. Dude for Food is now on Facebook, check out the FB Page for regular updates on good eats and cool deals. Better yet, click "Like" and enjoy the ride...just look for the FB "Like" widget on the right sidebar. Paella, in all its regional varieties. A Tomahawk. And a unique goat cheese dessert called Cuajada Al Momento. Each one created by Chef Jose Luis "Chele" Gonzalez. Only a few new places offer so many reasons to visit, and ArroZeria, still on its soft opening, is one of those places. ArroZeria celebrates the iconic Spanish dish, Paella, with its wide range of authentic and regional variants that make you rediscover this Spanish classic, complemented by an equally impressive range of signature dishes created by Chef Jose Luis "Chele" Gonzalez. The world's best meets the metro's best. For one evening, some of the best spirits in the world, and the metro's best bartenders, converged last January 26 at Blackbird for an evening of bold, refreshing, playful, and imaginative cocktails. Now on its seventh year, Diageo World Class Bartender of the Year, one of the cocktail industry's most prestigious and respected mixology competitions worldwide, kicks off its 2015 edition with twenty of the metro's very best bartenders from sixteen of Manila's finest establishments. A new year and flavorful fresh starts...all happening at Restaurant 101. Enderun Colleges' Restaurant 101 welcomes the new year with Fresh Starts, an exciting new Market Menu created by their very own alumni chefs to welcome the new year. Classic flame-grilled, fall-off-the-bone Pork and Beef Ribs. Baby Ribs, Sweet N' Smoky Ribs, Carolina Gold Pork Ribs, Kansas City Style Ribs, and Glazed Memphis Baby Ribs. Hickory Smoked Chicken and Southern Fried Chicken. Angus Au Jus and US Ribeye. And that awesome Onion Brick. Real classics that keep you coming back for more. Real American Country Kitchen Style...only at Racks. ...now you can get "tontekified" at the new UP Town Center. Like different colors on a palette, the different flavors combine perfectly in each dish, with each distinct note weaving its own hint in a colorful tapestry. California dreamin'...times two. Time to double up. Going for a double is always a good idea...at Caliburger. Crystal Jade Dining IN, one of the iconic dining concepts from Singapore's multi-awarded Cantonese restaurant group, hosted a thanksgiving luncheon for friends featuring both classic favorites and new dishes. Great to see old and new friends over some classic and authentic Cantonese cuisine, and new dishes, to start the year right. The Red Light features an exclusive peek at the creative culinary style of the metro's newest dining spot, Bait's Seafood Restaurant. At The Butcher Shop & Pub, you can satisfy your beef craving with an all-beef weekend brunch. Salted or with a sweet tare glaze, Japanese style Yakitori always hits the spot. ...the kind of day when you think of Cafe Shibuya. Best known for their sweet and savory toasts, Cafe Shibuya also offers offers a full range of beverages for that perfect pair. The lingering aroma of roast pork on charcoal fills the air, and you follow the scent trail. Despite the incoming horde of weekend shoppers, you bravely go against the flow and stay on course. At the eve of the new year, a basket of fresh fruits at the table ushers in the coming year in a long running family tradition to symbolize the collective hopes for abundance and prosperity, good health and some luck for good measure. Cyrille Soenen, and his lovely wife Anna, prepare a special off-the-menu lunch to end the year at Brasserie Cicou, with several courses drawn from the Chef's personal favorites and creative reinterpretations of classic dishes.